QR Codes are one of the hottest new marketing trends so far this year. I have done one Espresso To Go Show were I discussed the new technology. You now can utilize these codes on tons of different promotional products, not just on printed materials. 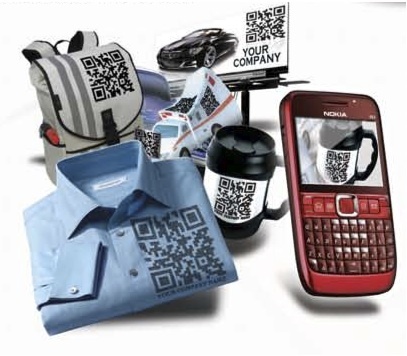 On your next marketing campaign think differently how you can create better brand awareness for your company with QR codes. Branding is one of the most important aspects of any business, large or small, retail or B2B. A clearly communicated brand gives you a major edge in an increasingly competitive marketplace. Why? Because your brand is a promise to your customer. It tells them what they can expect from you, and it differentiates you from competitors. The foundation of your brand is your logo. Your website, packaging and promotional materials—all of which should integrate your logo—combine to communicate your brand promise. I remember when I was a little girl there was a part of me that dreaded such special occasions as birthdays and Christmas – definitely didn’t dread the receiving of the gifts, but having to write the thank you card afterwards. For a young child, this was torture, and I would venture to say, others still think of it that way as adults. Nowadays, we don’t have our parents telling making us write them out – and it’s a shame. As a society, we have become accustomed to the fast track of saying thanks – if we say it at all. We shoot out a quick email or text message and think we can check that off of our list. You know as well as I do that we are bombarded with emails and texts every single day. 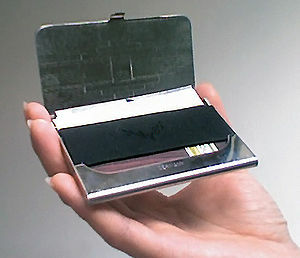 Any of us bombarded with receiving a thank you card the old fashioned way – through snail mail? I doubt it. And you can probably remember the last time you received a genuine thank you card. I challenge you to take that extra few minutes today and send a thank you card to someone…and maybe send a nice little gift now and then to those clients, strategic partners or influencers in your life. I’m sure Eric Marasco has some great ideas on gifts that will be a true expression of appreciation and thoughtfulness, which will go a long way in helping you build those relationships we all want in our lives – both personally and professionally.